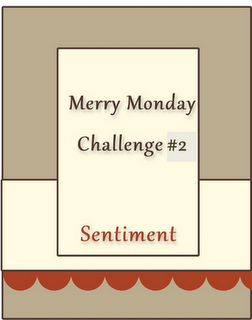 Lesley has come up with the following sketch for this weeks Merry Monday Challenge. 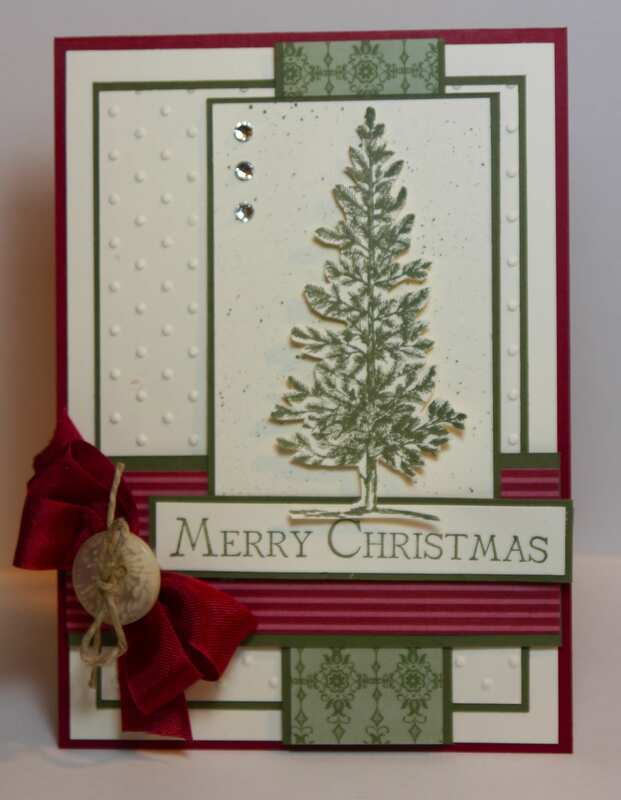 Check out her blog by clicking here and join in the fun. 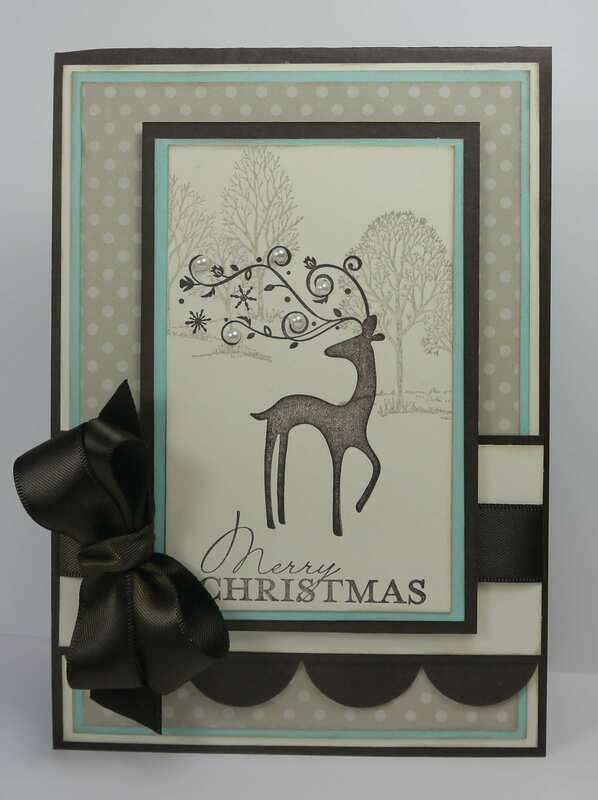 I’ve gone with two of my favourites Christmas sets – Dasher and Lovely as a Tree (even though it’s not a traditional Christmas set – I use it as one). 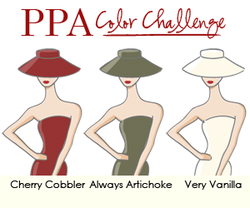 At Pals Paper Arts this week they have the following colour challenge. Would you believe I think I’ve only used these colours together once before? I generally use Old Olive with Cherry Cobbler but I think I’ll use Always Artichoke more often now. 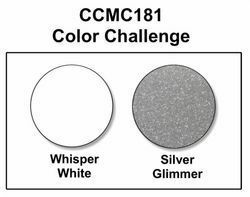 I’m combining these colours with the sketch challenge at Create with Connie & Mary. 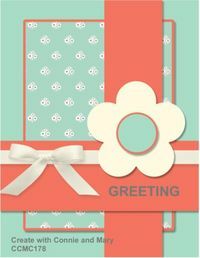 This card was chosen as a Pals Paper Arts Pick this week. 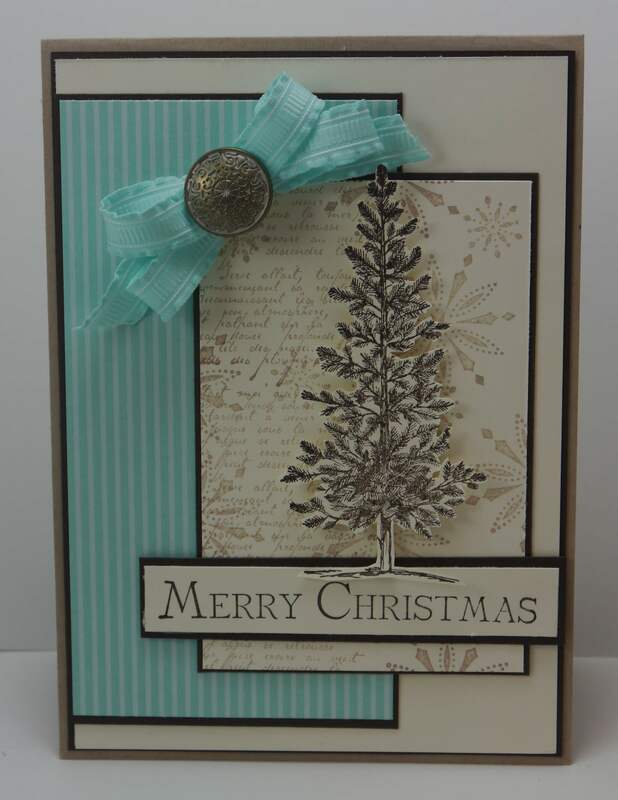 This card was chose as a Pals Paper Arts Pick this week. 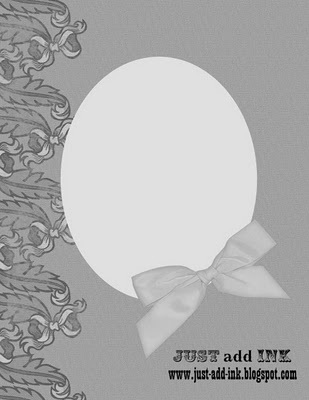 Over at Just Add Ink this week they have the following sketch to inspire us. 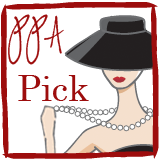 Click on their name to take you to their blog to join in this week. I’ve made a start this week on my Christmas cards and am quite pleased with myself as I’m not leaving it until the week before Christmas for once! 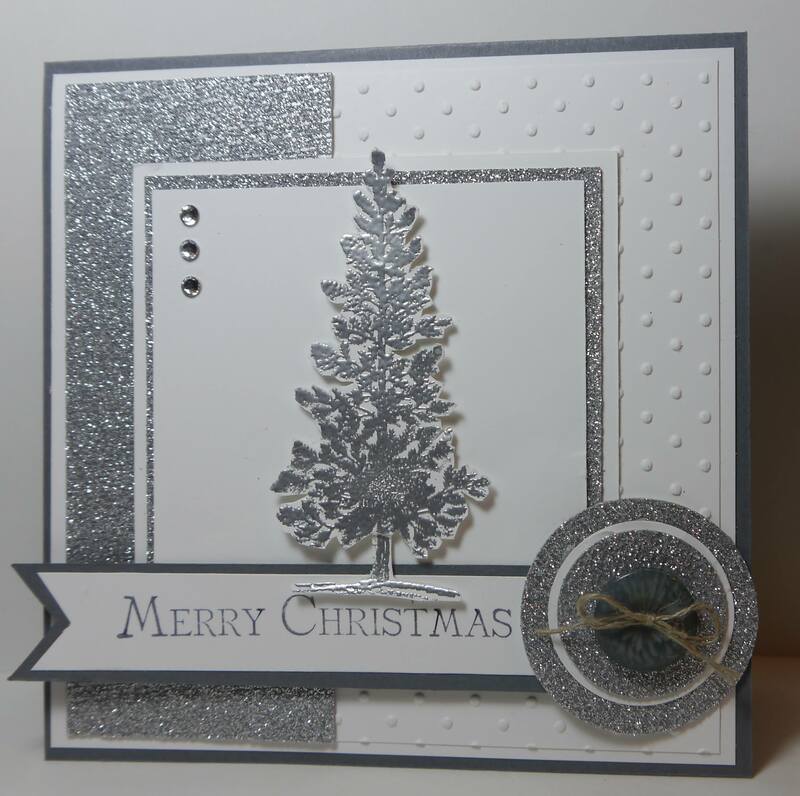 I think this is my 3rd card using Lovely as a Tree, but I’m loving it at the moment. I even got up the courage to use my spritzer tool which has until now sat unopened in the box, along with the brayer which I promise will get rolling soon. 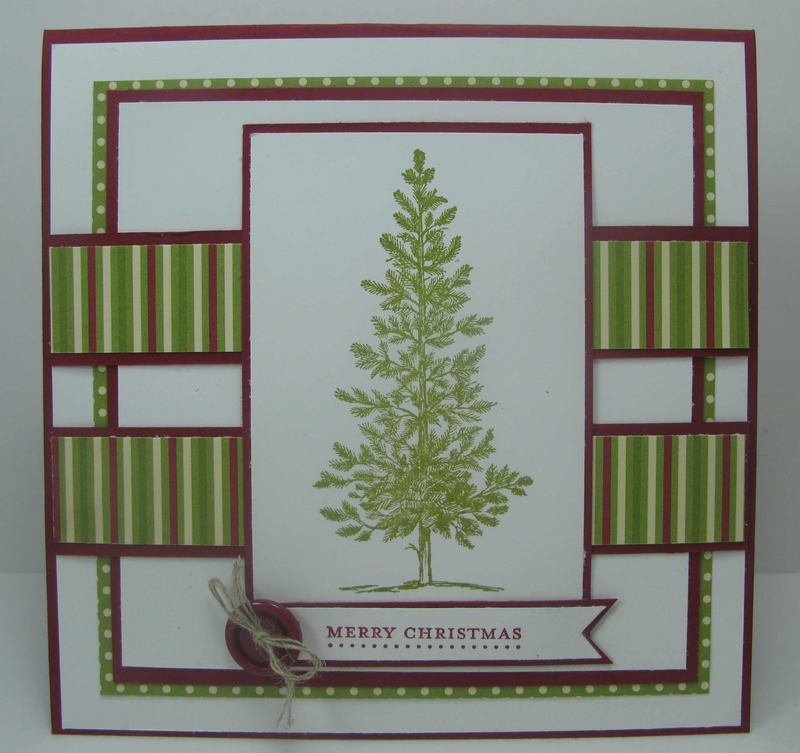 The challenge at The Paper Players this week is to make a clean and simple Christmas Card using Green & Red. 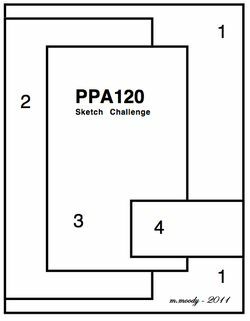 Click on their name to take you to the challenge website and check out everyone’s creations. 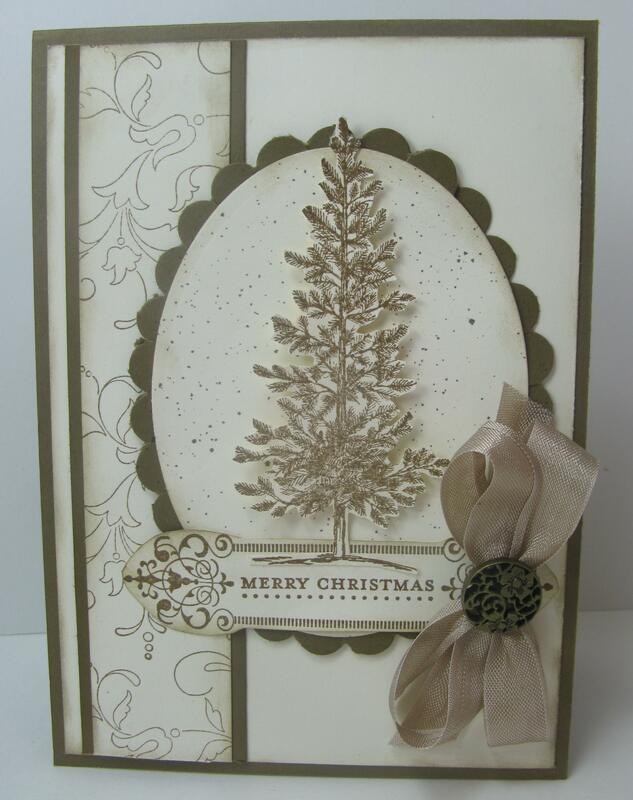 My fave stamp for Christmas at the moment is the pine tree from the stamp set Lovely as a Tree, so I’ve used this again today.